Intel in 2017: still the leader, but for how long? At the beginning of 2017, Intel was the undisputed king when it came to desktop and laptop processors, but now, at the end of the year, while it still retains its leadership of the market, its position isn’t quite as unassailable as it used to be. In this article, we’ll evaluate how Intel performed in 2017, and this report card will cover all the highs and lows that this past year has brought for the CPU goliath. The beginning of 2017 saw Intel in an incredibly strong position, posting a first quarter revenue of $14.8 billion – up from $13.7 billion it managed during the first financial quarter of 2016. Intel’s market dominance was also extremely impressive, with Passmark releasing information about the split between Intel and AMD processors used by people running Passmark’s range of benchmarks that showed Intel having 79.3% of the market compared to AMD’s 20.6%. While these results were confined to Windows machines that ran the benchmarks, it was still convincing evidence of Intel’s strength. Many people would argue that Intel’s dominance of the desktop and laptop processor market brought with it a lack of ambition and innovation. AMD, Intel’s closest rival, was lagging so far behind in market share, that many people accused Intel of resting on its laurels. Why take risks when you’re doing so well? This meant a good few years where new processors (from either camp) saw rather conservative improvements over the ones that came before. So, people with older processors didn’t feel like they needed to upgrade. People were getting board. Restless. Then, in March AMD upped the ante by releasing its Ryzen 7 series of processors, which attracted critical acclaim by bringing high core counts (the flagship AMD Ryzen 7 1800X features 8-cores and 16-threads, as well as a 3.6GHz base speed and top speeds of up to 4GHz) at very affordable prices. The release of Ryzen 7, along with the subsequent releases of Ryzen 5 and Ryzen 3 CPUs, thrust AMD back into the limelight. Customers responded to AMD’s new offerings, while Intel, with its high prices and mainstream processors that still maxed out at four cores, was beginning to look out-dated and out of touch. AMD continued to gain positive headlines and reviews when it launched its enthusiast-class Threadripper processors that brought incredibly high core-counts and captured the imaginations of gamers who wanted the very best hardware. AMD had brought the processor war back to Intel, so how would the dominant company respond? The pressure was on for Intel to respond, and in May at Computex 2017 it did just that by announcing its Intel Core X series of processors, which included the world’s first consumer desktop processor with 18 cores and 36 threads – the Intel Core i9-7980XE. The rest of the Core X series were no slouches either, with the Intel Core i9-7960X matching the Threadripper’s 16-cores and 32 threads, along with the 14-core i9-7940X, 12-core i9-7920X and 10-core i9-7900X. These high-core CPUs were accompanied by the i7-7820X and i7-7800X, which come with 8-cores and 6-cores respectively, the first time i7 CPUs had gone above quad core (which was left to the i7 7740X and i5 7640X). Intel went as far as to call this new series of CPUs its most "scalable, accessible and powerful desktop platform ever." These new processors certainly showed that Intel was ready to match AMD when it came to high core counts, and they also brought a number of advantages over the previous generation, with a 30% performance improvement over Intel’s seventh generation CPUs, 10% faster for multi-thread performance, and up to 15% faster for single-thread performance. So, Intel had no issue with fighting back against a resurgent AMD when it comes to cores and power, but would it also compete with AMD when it came to price, traditionally AMD’s strongest area? The short answer is no. Intel has long had a reputation for releasing CPUs that are a fair amount more expensive than AMD, and in 2017 Intel didn’t challenge this perception – it reinforced it. The top-of-the-range Intel Core i9-7980XE, for example, comes in at an eye-watering $1,999 (about £1,480, AU$2,510), while the 16-core Intel Core i9-7960X costs $1,699 (£1,700, around AU$2,150). Meanwhile, AMD’s Threadripper 1950X costs $999 (£999, AU$1,440), while going pretty much toe-to-toe with the i9-7960X in terms of performance. In terms of price versus performance, AMD continued to hold the upper hand in 2017. AMD gets even more competitive in the price department with the Ryzen 3, 5 and 7 processors, and coupled with the positive critical reception of those CPUs, pressure began to mount on Intel. Throughout 2017, Intel continued to release processors, including the 8th generation Kaby Lake Refresh for laptops as well as the 8th-generation desktop chips, codenamed Coffee Lake, which came out in October. While these new processors meant upgraders also had to invest in a new motherboard, Intel boasted they would bring a huge 45% performance boost over its Kaby Lake predecessors. As we observed in our review of the Intel Core i7-8700K, the six-core, 12 thread Coffee Lake-S processor outpaced AMD’s Ryzen chips, was a beast at overclocking, and at $359 (about £270, AU$460) it was priced to compete with AMD’s Ryzen 7 chips. Intel certainly didn’t seem to take AMD’s challenge lying down, but throughout 2017’s war of the processors there was at least one clear winner: consumers. Lower prices, more cores and a renewed drive for innovation from both sides made 2017 a vintage year for processors. Intel also suffered some rather damaging headlines during 2017. 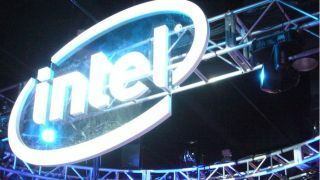 The biggest controversy came when it was revealed that, since 2010, millions of Intel chips have been sold with a security flaw in the hidden Management Engine, which could allow malicious users of gaining remote control of the AMT features, potentially providing a backdoor to millions of PCs around the world. After the exploit was uncovered by Mark Ermolov and Maxim Goryachy, Moscow-based security experts who work for Positive Technologies Research, Intel admitted that some 10 vulnerabilities exist in the Intel Management Engine, Trusted Execution Engine and Server Platform Services. This followed concerns that were raised when the Management Engine was found to run a version of Minix – a ‘mini-Unix’ OS originally created by Andrew Tanenbaum for educational purposes, but apparently adapted by Intel for its processors. Much of the controversy was over the fact that the user has no access to this Minix OS, yet it has full access to the host PC, and with these security flaws it made uncomfortable reading for both Intel and anyone running on of the affected processors. So, at the end of 2017, where does this leave Intel? Due to some excellent product releases, and a new range of Core X processors that takes consumer desktop CPUs to even greater heights, Intel remains the market leader. However, even with a still impressive lead, the landscape has changed and, in 2017, AMD was able to chip away at Intel’s dominance. As we reported in September, German retailer Mindfactory.de, released its CPU sales data (which were then picked up on Reddit) for the period between March and August 2017, which showed that in March AMD CPUs accounted for just 27.6% of the retailer's CPU sales, compared to 72.4% for Intel. However, in April after the Ryzen 7 1800X, 1700X and 1700 had launched, and which saw the introduction of the mid-range Ryzen 5 chips, AMD’s share rose to 36.5% while Intel’s dropped to 63.5%. Most worrying of all for Intel was that, in August 2017, AMD actually overtook Intel – 56.1% to 43.9%. Although this was only sales results from one (admittedly very large) retailer, there was similar evidence from various retailers that AMD was clawing back market share. This year also saw Qualcomm, the processor manufacturer that’s usually associated with smartphone chips, make more strident moves into the laptop processor market, putting even more pressure on Intel’s position. At Computex 2017, Qualcomm and Microsoft announced that a number of laptops from Asus, HP and Lenovo will run Windows 10 on the Snapdragon 835 platform, and the first of these ‘always connected’ PCs will feature seriously impressive 20-hour battery life. With Qualcomm and Microsoft working together, and a reinvigorated AMD, Intel found that, despite its successes this year, 2017 marks the end of its near dominance of the CPU market. What does 2018 have in store for Intel? So, what can we expect from Intel in 2018? After such an eventful 2017 for processors, there is a fear that we could be in for a bit more of a boring year for the company, however there are some rumors swirling about what Intel has in store. First of all, Intel’s upcoming Cascade Lake-X family should make an appearance, and rumors suggest it will use Intel’s 14mm++ architecture, which brings improved speeds and better temperatures. Intel’s delayed 10nm architecture should also make an appearance with the Cannon Lake series finally releasing. Cannon Lake is expected to see considerable gains in performance (25%) and reductions in power consumption (45%), thanks to shrinking the transistor size from 14nm – where Intel’s processors are now and have been since its first Core M chips in 2014. Intel’s low-power Atom CPUs should also move from Apollo Lake architecture to Gemini Lake, though it’s unlikely there will be a process shrink. Meanwhile we expect AMD to continue putting pressure on Intel with its new range of Ryzen CPUs, while Qualcomm and Microsoft’s partnership will continue to bring new devices running Snapdragon 835, and possibly even 845, chips. So, 2017 has been a big year for Intel specifically and the processor market in general, and we’ll continue to see the repercussions throughout 2018 and beyond.